My post about 1953 seemed to be a popular one. 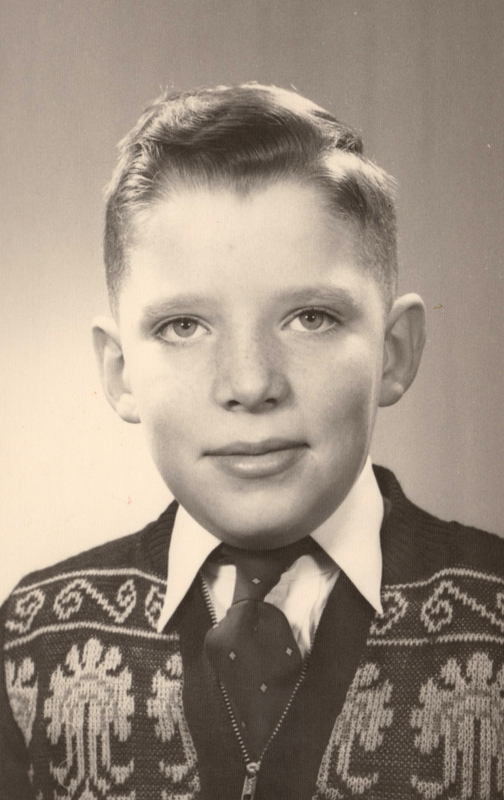 I have another school photo from 1957-58 so I will tell you about that year, too. 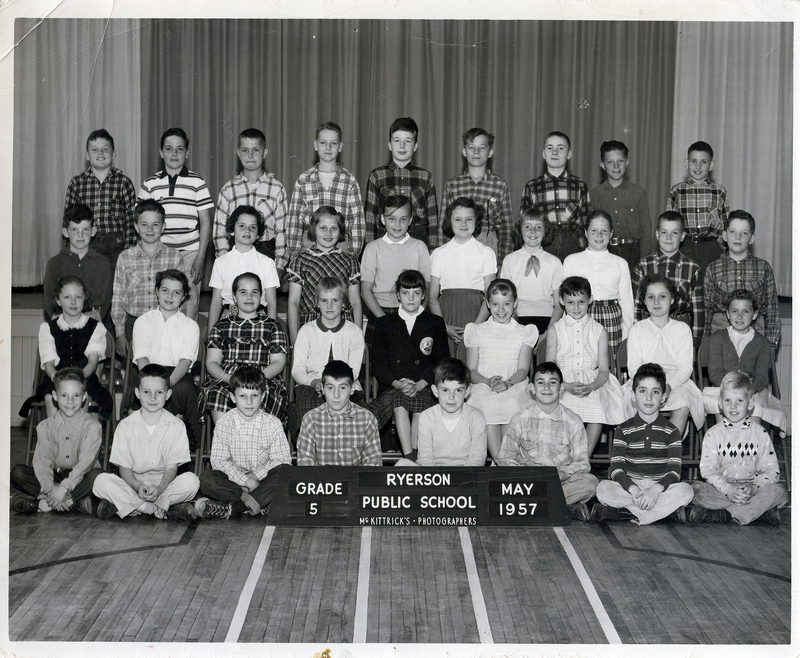 Our family had moved from Mornington Ave to Victoria Street in London and I was going to Ryerson Public School. I would have turned ten that year. I have a granddaughter older than that now. When I look at the class photo (Grade 5) i can name all the kids in the photo. Some are just first names but 57 years later I still remember these names. Some of us stuck together through high school. Last week, on Facebook, I saw a photo of some (I initially put the word “old” in here but took it out as they all looked pretty good and I was referring to the duration of our friendship, not the ladies themselves) friends from high school and the girl with the ponytail and the white dress near the middle of the class picture was in the photo. I wonder what became of these schoolmates. One of them became an Ontario Member of Parliament for several years. His brother was Premier of the province for some time. Where are you now, Alan Cotton, Sandra Hansford, Mina Orenstein, Phillip Somerville, Nancy Lamon, Diane Kendall, Susan Sherlock? I could list them all. I think it may have been in grade 5 that I started my acting “career”. I wrote, directed and starred in a class production of “The Emperor’s New Clothes”. Sort of the Kevin Costner (or maybe more like the Woody Allen) of my school. I also remember one of the girls in the middle row putting her tongue on a metal pole in the winter on our way home for lunch and having an episode very similar to Flick in A Christmas Story. She left little shards of tongue on the pole as she tore it off. What else was happening in 1957? It seems that Elvis Presley and Buddy Holly were popular – Elvis hitting it big on Ed Sullivan and then with his movie, Jailhouse Rock. That year he bought Graceland. When he appeared on network television they would only show him from the waist up, even when he was singing songs like Peace in the Valley. His pelvic gyrations were the 1957 equivalent of twerking and definitely not meant for children to see. Queen Elizabeth visited Canada to open parliament. John Diefenbaker (Dief the Chief) was Prime Minister of Canada. The USSR put the first orbiting spacecraft into space – a two-foot big satellite called Sputnik. It was a big deal. That summer I cut my foot on a piece of glass in Gibbons Park that summer. My Dad took me to a doctor friend of his to get stitches and I was pulled around in a wagon for a week and sat by the garage making Plaster of Paris frogs and cars and little soldiers. 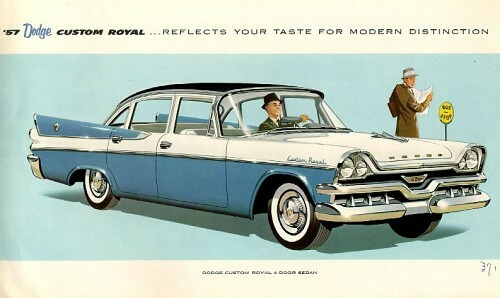 At some point we had a 1957 Dodge – white with turquoise strip and huge pointed fins on the back of it. My mom, who used to sing in a band during the war years, got an advertising gig on CFPL radio singing about the “daring new Dodge”. I thought my mom was famous. 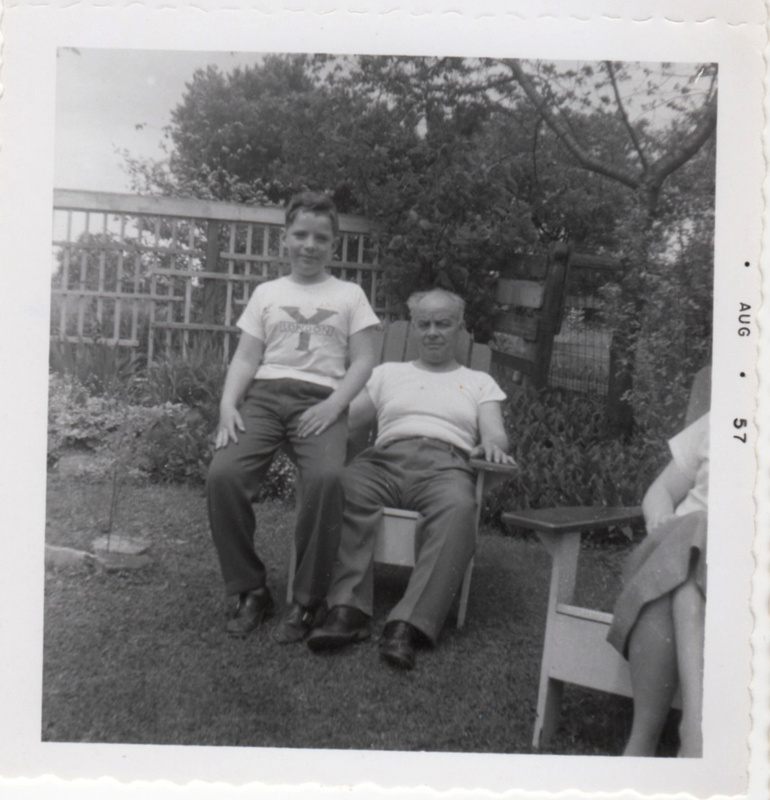 With Grandpa Vardon (often in his undershirt) in the Grosvenor Street yard in 1957. The infamous fire pit was off to the left. My Grandparents lived a few blocks away on Grosvenor Street. They were lots of fun. Grandma Vardon played the accordion – earlier in her life she was a piano player for silent movies. She also liked to have bonfires in her back yard barbecue pit – something that perhaps was not welcomed by the neighbours as evidenced by the occasional arrival of the fire department. I remember vividly roasting marshmallows over the fire as a hoard of firemen with hats and coats and hoses burst into the yard around the garage.